When it comes to protecting your valuables, nothing can be better than owning a top rated burglary safe. According to US studies, around 2 million homes per year experience a break-in. The demand for residential and commercial safes is increasing per day. Invest in your family’s protection! At first glance, purchasing a residential safe seems to be a simple task, but today’s market is overloaded with inexpensive safes at your local big chain store, which makes this task overwhelming. Many of these safes could be opened with a $5 hammer found at your local hardwood store. When you purchase a these. Home safes they come with a massive thick door with over sized locking bolts that give them a robust look, but their harsh reality can be revealed only by removing their door panel. These safes can’t provide substantial protection to your valuables as you can unlock them with pencil-thin fasteners. Hence, before you look forward to buying high security safe, you need to know how to buy the best residential safe. In this guide, we are going to give 3 tips to buy the best home safe. Call Jim Bryan Safes today at 305-321-3118 or email us at fourbryans@aol.com for a free safe quote. Choose a Fireproof Safe: Fire-resistant safes are rated on the basis of how long the interior of the safe will stay at or below 350 degrees. They usually use have a very thin metal covering fire retardant material to protect your valuables against fire. Experts always recommend buying at least a 1-hour fire rated safe. If your budget is high, then you can also buy a 2-hour fire rated safe. Not only are UL certified safes combination safes that only protect your valuables from the fire but also avoid moisture to enter in your safe. 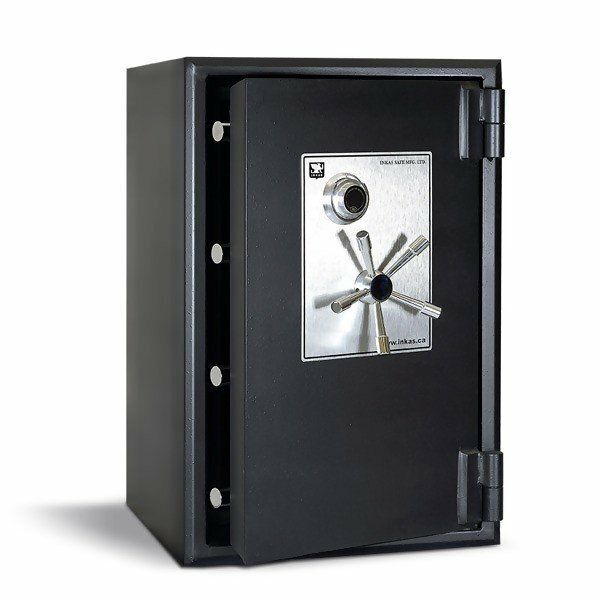 Choose a Burglary Safe: Burglary safes are built very strong and heavy duty to store important documents, money, jewelry and even your 1940’s comic book collection. They are rated on the basis of how long it will take to unlock the safe by an assisted expert with sufficient knowledge of the interior working of the safe. It is always suggested to purchase a safe with highest burglary rate such as 1-hour+ burglary safe or 2-hour+ burglary safe. The residential and commercial safes designed by many company’s that we provide are AMSEC, American Security, Gardall, Rhino Safes, Brown Safes, Traum Safes, Casoro safes, Safes Universe, Browning, Liberty Safes and many other safe brands which will provide the strongest protection against a burglar attempt and fire breakout. Choose a Water Resistant Safe: Beyond theft and fire, you will always want to protect your valuables from natural disasters like a flood. Many safes can keep the water away for a certain depth whereas some safes can protect your valuables even if they are fully submerged in the water. The rating of water-resistant safes depends upon their ability to restrict water to enter into the safe. If you live in an area prone to floods or water break line, then it is highly recommended to purchase a safe with the highest rating. While these were the tips you can consider when buying a residential and commercial safe, there are many more such as biometric safe, look for a tamper-proof safe, choose the right size, find out a reliable supplier such as Jim Bryan Safes. However, before making any decision, contact Jim Bryan Safes we not only provide the safe, but we install, service, move and even change combinations. We will help you find a residential or commercial safe that fits your needs.